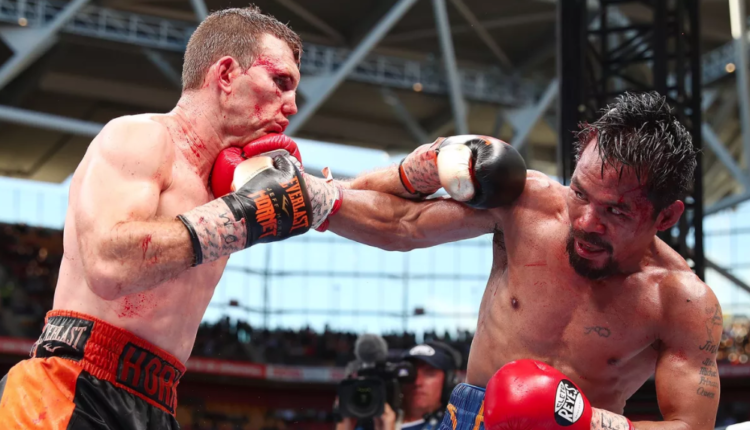 Jeff Horn knows that his reputation, career, and chance at regaining his world title are on the line November 30th against Anthony Mundine. The pressure on Horn is immense as he returns to the spot where he upset Manny Pacquiao in 2017, as the two Aussies face off at Brisbane’s Suncorp Stadium, nearly five months after his stoppage loss to Terence Crawford costing him the WBO welterweight title in the process. “To get back on the world stage and get that world title back I definitely have to win well,” Horn said. Looking to have an answer for anything Mundine can throw at him physically and psychologically, he’s had sparring partners toss in some trash talk in camp. “The talk inside the ring really doesn’t bother me … the little words he’s going to be saying to me, I’m sure I can block out,” Horn said. “I’m pretty much sitting on the weight now … I don’t have to cut much at all,” he said of avoiding the same issues he had prior to the Crawford fight.